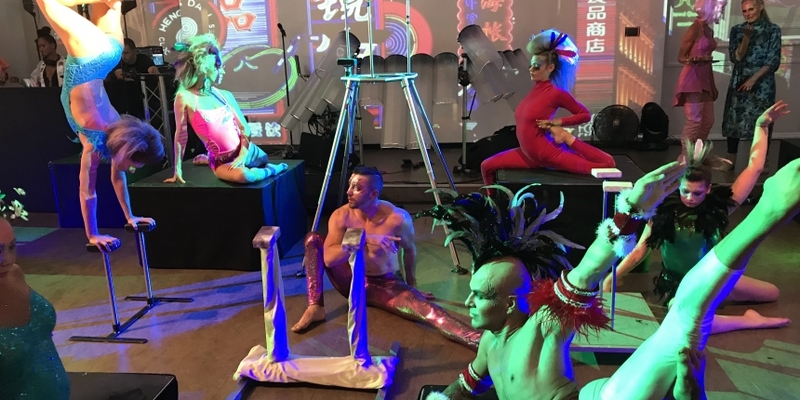 It might sound a bit nonsensical, but it was far from fiction at a bitcoin cash birthday party in London last week, where a circus-meets-gypsy-themed party gathered the cryptocurrency’s local enthusiasts in celebration of the one-year anniversary of its first block. As the party proved, the block was a big one – not just in its 8 MB size, but for the crypto history books, so much so that a year later the memory of its birth remains. So, too, however, does the controversy around the project, which while still one of the world’s largest (securing $10.2 billion in value), continues to have an acrimonious relationship with those backing the blockchain from which it split. Today, bitcoin cash boasts 32 MB blocks (compared to bitcoin’s roughly 1 MB blocks), which according to enthusiasts at the #BitcoinRebirth party in London’s West End will make the protocol better for use as an electronic currency. That’s been – rather controversially – the bitcoin cash contingent’s main argument for some time, and as the party proved, they have no plan to give up the fight anytime soon. “The other branch, it’s not bitcoin technology anymore. They don’t want bitcoin to be used as currency anymore; they want it to be used as digital gold,” Ayre told CoinDesk. But that was far from the only strange occurrence of the evening. While the percussion of a traditional Chinese orchestra played in the background, Ayre explained why he believes that bitcoin cash has already been a success. According to him, a lot of bitcoin projects were canned once it became clear that microtransactions were no longer tenable using that blockchain. But now, those projects are popping back up, on bitcoin cash. “Thankfully, it was only gone for a short period but that short period has probably held back the evolution of bitcoin as a currency and as a payment platform, and as a platform for other types of applications to run on top of it,” he said. Asked specifically about how bitcoin cash will entice merchants to adopt bitcoin cash, Ayre said there is a merchant program afoot with direct sales people educating large merchants. However, he added, developed world merchant adoption is not the main driver. Instead, Ayre sees adoption growing in the developing world first. Elsewhere, attendees were unsurprisingly keen on the cryptocurrency. Elizabeth White, who founded the White Company, a crypto concierge service, was on hand to explain why she supports the technology. Her company, which has handled more than $100 million in cryptocurrency sales of luxury items in the last year, started off accepting bitcoin, litecoin and ether, added stellar and then most recently added bitcoin cash. Because of that, White has begun to notice trends between each coins’ users. For example, bitcoin cash seems to be emerging as a popular choice with a lot of “fun” users, White told CoinDesk. “While the ethereum people are more likely to be being paying their mom’s rent,” she said. Bitcoin cash “is used for things like Beyonce and Jay-Z World Tour tickets, or people throwing parties on Greek Islands and buying Dom Perignon,” she explained. Still, the newly crypto rich and famous weren’t the only ones in attendance. Others at the event included developers and miners, but also some curious newbies, including members of a student lifestyle platform based in Manchester and the entrepreneurs behind a ticketing portal looking to accept cryptocurrency in the near future. As such, it seems bitcoin cash is slowly, but surely attracting a new wave of potential cryptocurrency enthusiasts, ones that just might bring about another merchant rush like the one seen with bitcoin in 2014.